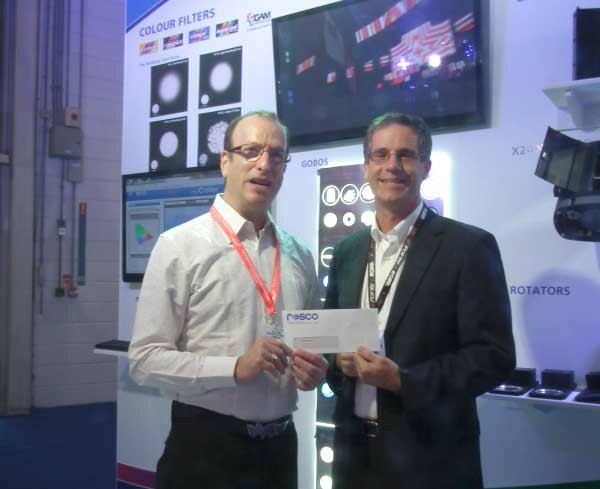 Rosco CEO Mark Engel presented Light Relief with its annual benefit cheque from the proceeds of Rosco’s 313 Light Relief Yellow colour filter. The cheque was presented to Light Relief co-found Rick Fisher on Rosco’s booth at PLASA London. As he accepted the check on behalf of Light Relief, Mark Fisher replied: "Knowing that we have regular donations, such as this from Rosco, enables Light Relief to respond swiftly to those who need our help - and sometimes our help is needed extremely quickly." Light Relief Yellow 313 was created by Rick Fisher on behalf of the Light Relief charity, the objective being threefold: to offer additional exposure to this important endeavour, to provide a revenue stream to the charity and to offer a useful yellow colour filter for designers everywhere. In picture: Rick Fisher, trustee and co-founder of Light Relief with Mark Engel, CEO Rosco.